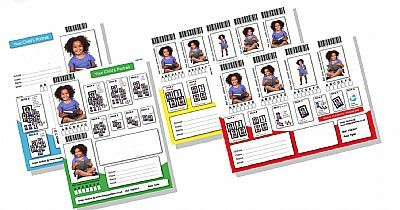 Packages include 1 to 4 poses per child and come in 7 different configurations ranging from prints to a digital download. Our work flow is fast and fun for the children and stress free for the teachers, also as our pricpipal photographer is female and has experience working in schools as a teachers assistant and chair of the schools P.T.A. A fun filled day is ensured. 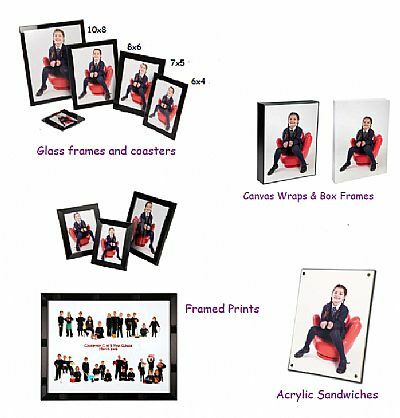 As well as traditional prints in strut mounts, we can also offer canvas wraps, acrylic prints, framed prints, glass frames, glass coasters & framed panoramics.